..."Jewels of My Garden", the very first quilt I made out of Veranda. This is a really fun bed-sized quilt. It is so easy to make, with just flying geese, squares, and rectangles making up the blocks. I used the pink paisley feature print for the border to bring everything together. 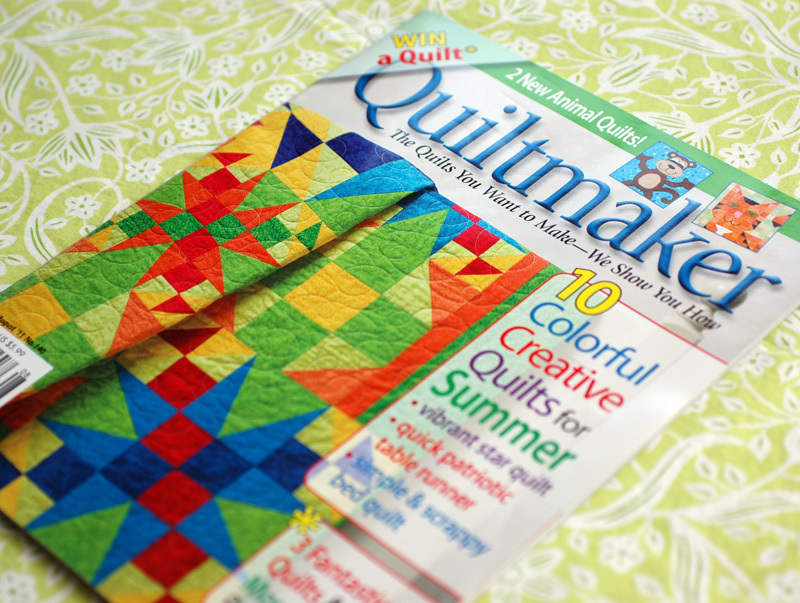 I used a bright Kona yellow for the square centers, but you really could pull any color from the accent prints. 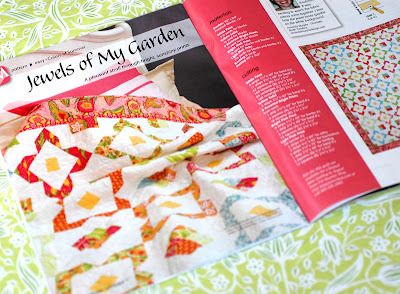 Kimberly, of Fat Quarter Shop, will be offering kits for this "Jewels of My Garden" when Veranda ships in August. Its so pretty and congratulations on the feature. It is gorgeous and does indeed remind me of summer! Love this!! Congratulations!!!! Do you know if FQS will offer it in both colorways? 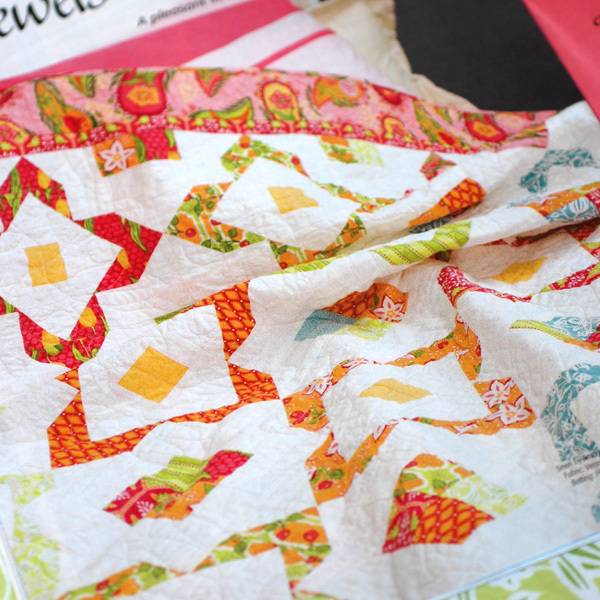 Love the quilt pattern, Love the Veranda line of fabric. A perfect match to each other. Thank you for sharing. Can't wait to get my hands on the issue!! Beautiful!